Please welcome Bradley W. Schenck to The Qwillery as part of the of the 2017 Debut Author Challenge Interviews. 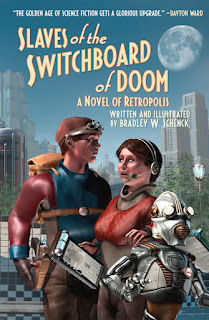 Slaves of the Switchboard of Doom was published on June 13th by Tor Books. Bradley W. Schenck: Well, “when” is pretty easy. I was about seven. “Why”, though, that one I have to reconstruct. Because I wasn’t keeping notes or anything. My best guess is that I really liked stories, and so it seemed like making stories was just one of those things that people did. So I did it, too. I had a tendency at that age to just jump right in. BWS: I call what I do “limited pants”. I just like saying that. It’s such an evocative phrase, right? In what sense are these pants limited? Where do you draw the line, once pants limitations are on the table? Who has the right to limit pants, if pants can be constrained? But it’s also accurate. When I start out I have a rough idea of where I’m headed, and I’ve decided on a few of the important stops I have to make along the way. I know the shape of the thing. But then I arrive at my destination through improvisation, and the best things in the stories are the ones I didn’t see coming. The things I could never have planned, I mean, because they grow naturally out of the things that I discovered along the way. And the endings? They could change. The map I start with is there purely for reference. That’s probably a crazy approach for a book like Slaves of the Switchboard of Doom. This is an ensemble piece with a lot of characters who are all blundering toward the same goal, with no idea that there are other people blundering in parallel with them. Each character or group has its own rhythm, its own pace, as it moves toward their eventual meeting. So keeping them all in sync without an outline was an adventure in itself. The ending of Switchboard is not exactly the ending I had in mind when I started it. The result is the same, but we arrive at that result in a way that turned out to be inevitable only when I got there. BWS: The most difficult thing about writing is starting to write. The second most difficult thing is finishing what you wrote. The stuff in between, that’s a piece of cake. My characters have grown out of the streamlined futurism of the 1930’s. So I kept looking back (especially for dialogue) to the Warner Brothers films from that decade; to John Steinbeck, and Damon Runyon, and Ring Lardner; and, for their humor, to Morrie Ryskind, and George S. Kaufman, and S. J. Perelman. But I’ve been influenced by everything I’ve ever read, and those influences sprout out in ways we’re not even aware of. So your observations are just as reliable as mine. TQ: Describe Slaves of the Switchboard of Doom in 140 characters or less. BWS: A light-hearted adventure set in one of our used futures: because nobody else was using it at the moment, and robots and rockets are neat. TQ: Tell us something about Slaves of the Switchboard of Doom that is not found in the book description. BWS: This book examines both the difficulty of being a robot and the horror of being a babysitter. Also, there’s a thing that’s more like a squid than anything else. And really tiny elephants. TQ: You've been drawing Retropolis pictures since the late 1990s. What inspired you to write a novel based on/in Retropolis? BWS: It came about gradually. Back in 2010 I started serializing illustrated stories at Thrilling Tales of the Downright Unusual (home of the Pulp-O-Mizer!). Those stories ran around 30,000 or 40,000 words. Slaves of the Switchboard of Doom was going to be the next serial at Thrilling Tales until I realized how much bigger it was. At that point I admitted that I was working on a novel, and I decided to treat it like one. So I guess my inspiration for writing a novel was the discovery that I was working on a novel. Weird, isn’t it? TQ: What sort of research, if any, did you do for Slaves of the Switchboard of Doom? 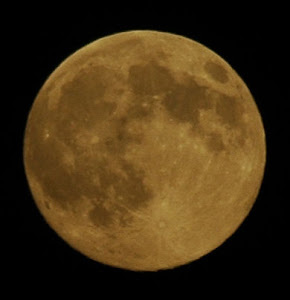 BWS: I had to find out what area on the Moon had lots of underground lava tubes that people could turn into habitats. And I had to calculate how many years you can get out of 15,000 hours. Is that research? You decide. Also, I researched the pen names used by Henry Kuttner and Catherine Moore. But most of the research for the book was working out ways to talk about things that are completely preposterous, while waving my hands in such a hypnotic manner that you - possibly - don’t mind. 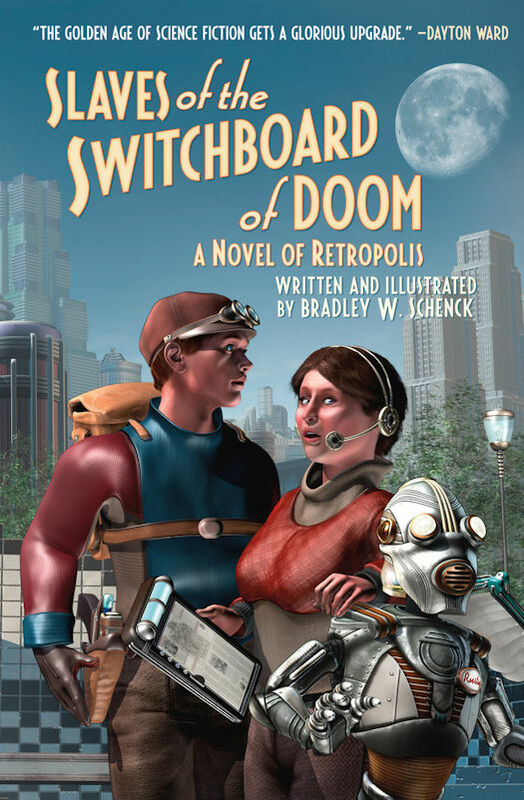 TQ: Please tell us about the cover for Slaves of the Switchboard of Doom? 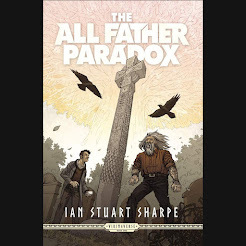 BWS: The thing about book covers is that they have to tell you what the book is like. It’s nice when that means you get to show a scene from the book; but it’s not essential that you do that. You’re not illustrating a chapter, on the cover. You’re wrapping up, in a single image, the experience of being in the book. So in my original cover concept I did show a scene from the book, and it was one that I thought summed up that experience. But the publisher wanted something different, and I was really happy to learn that they wanted me to do a new one. I mean, who gets to do their own cover? What they wanted was two of the characters and a view of the city of Retropolis. That’s more or less what you see on the front of the book. Well... more, I guess. Because although they asked for Dash and Rusty, it’s just as much Nola’s story as it is Dash’s. So I put her there, too. But on the back I added a bunch of other characters, posed or fleeing, in something a little like Josh Kirby’s covers for the Discworld series. Because it’s that chaotic mass of people, acting independently and without an overall plan, that I think sums up what being in the book is really like. None of these people understands the scope of what’s happening to them: but you can see it. 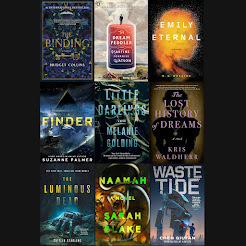 Some of these are characters from the book, and some of them are stand-ins for whole groups of people - like the mad scientists of the Experimental Research District. And then, behind and around them, you have that 1930’s City of Tomorrow: Retropolis. TQ: In Slaves of the Switchboard of Doom who was the easiest character to write and why? The hardest and why? BWS: I never really wondered who was easiest. I’d guess that would be either Dash Kent or Abner Perkins: Dash, because understanding what he was about was the thing that got me started me on the book; Abner, because of all these characters his oblivious tunnel-mindedness is probably the most like me. The hardest characters to write were either Howard Pitt or Lillian Krajnik. That’s because they verge on monologue, and it’s always hard to let a character carry on like that in a way that seems natural - especially when what they’re going on about is important. TQ: Why have you chosen to include or not chosen to include social issues in Slaves of the Switchboard of Doom? BWS: Well... this is a light, humorous book. I don’t flatter myself that I can instruct you about anything. That said, it does seem these days that no matter what you write there will always be someone, somewhere, who finds something deeply disturbing about it. And who will point out how what you’ve written is a sign of everything that’s wrong with the world. But, honestly, the closest I come to a social message here is “Slavery is bad.” And if there’s anybody out there who’d condemn me for that message... well, that’s a person I’d like to offend. I’m not exactly going out on a limb, there. At one point I do draw a distinction between idealism and fanaticism, while in practice it’s often hard to do that: one person’s idealism is another person’s pogrom. And if drawing that distinction is hard, it’s also pretty important - especially when it’s a kind of idealism with which we agree. TQ: Which question about Slaves of the Switchboard of Doom do you wish someone would ask? Ask it and answer it! TQ: Give us one or two of your favorite non-spoilery quotes from Slaves of the Switchboard of Doom. BWS: While Switchboard was in my editor’s hands I wrote a series of shorter, web-serialized stories about the Retropolis Registry of Patents. That’s the agency that oversees patent applications from the universally mad scientists in the city’s Experimental Research District. While they never mention this outside the office, the officers and investigators at the Registry also keep tabs on what’s going on in the District. They’re the only people who get a preview of the bizarre experiments and inventions that might just wipe out the city, if nobody stops them. So of course they also have to prevent those things from happening. That’s their job. But they’re people, whether human or mechanical...so what really interests them? Office politics. I’m finishing that series with a final story, and I’ll collect them in an illustrated book called Patently Absurd. BWS: It’s a pleasure to be Qwilled!